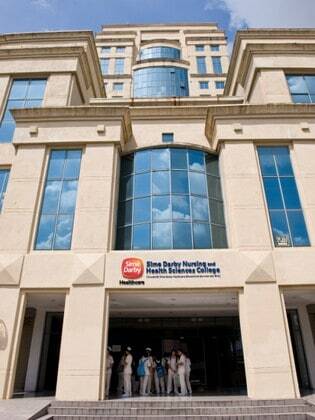 Ramsay Sime Darby Healthcare College (RSDHC) is one of the pioneers in healthcare education in Malaysia. The College was established in 1995. It is registered as an institution of higher education with the Ministry of Education, Malaysia. The Programs offered by Ramsay Sime Darby Healthcare College are approved by the Malaysian Qualifications Agency (MQA), an accrediting body appointed by the Ministry of Education, Malaysia. Nursing is a healthcare profession which concentrates in treating, training, and giving the optimum healthcare to the patients. Nursing has the highest employment demand in the whole world. In RSDHC; they offer Diploma in Nursing and degree program. The Diploma in Nursing course is designed to equip the students with knowledge, skills and expertise needed to be confident and expert in their nursing career. Malaysia provides a multiracial variety of patients as their training base. English is taught by experienced lecturers. Or scored 5.5 in IELTS/550 in TOEFL. The duration of the course is 3 years and the intake is in January, April, July and September. This is an open course for registered nurses who had completed Diploma in Nursing accredited by MQA and currently working in clinical practice. The BSc (Hons) Contemporary Nursing 2+0 by the University of Hertfordshire is structured for students to obtain the maximum potential. Each semester the students will attend an approximately three (3) weeks block study at Ramsay Sime Darby Healthcare College, where they will be taught theories relevant to nursing practices, by University of Hertfordshire lecturers. Upon completion of the teaching weeks, students will return to clinical practice for the remainder of the semester. The students will have the chance to apply the theories learnt, to clinical decision making and critical thinking in their course of work. They will be supported by a Critical Friend in the clinical practice area and monitored by the Program Coordinator. Applicants must obtain Diploma in Nursing or equivalent. Must be registered with Malaysian Nursing Board. Possess current Annual Practicing Certificate. Pass International English Language Testing Services (IELTS) with a minimum score of 6.5 or evidence of an equivalent standard as determined by the University of Hertfordshire, UK. Minimum 3 years working experience as a registered nurse. Nursing flies high in career market around the world. Those who venture in this field has a bright future as the supply is still low. 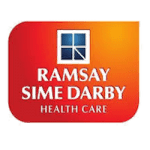 Ramsay Sime Darby Healthcare College will open the doors for you to excel in this field. RSDHC stands tall above the other institutions for excellence in nursing studies. RSDHC offers Nursing and Allied Health Science programs such as Physiotherapy, Healthcare Service, Medical Laboratory Technology, Medical Assistant and Foundation in Science program. The RSDHC campus has comprehensive facilities to cultivate its pupils to be professional healthcare practitioners. The clinical training is provided in any of the Ramsay Sime Darby Heathcare Hospitals in Malaysia.